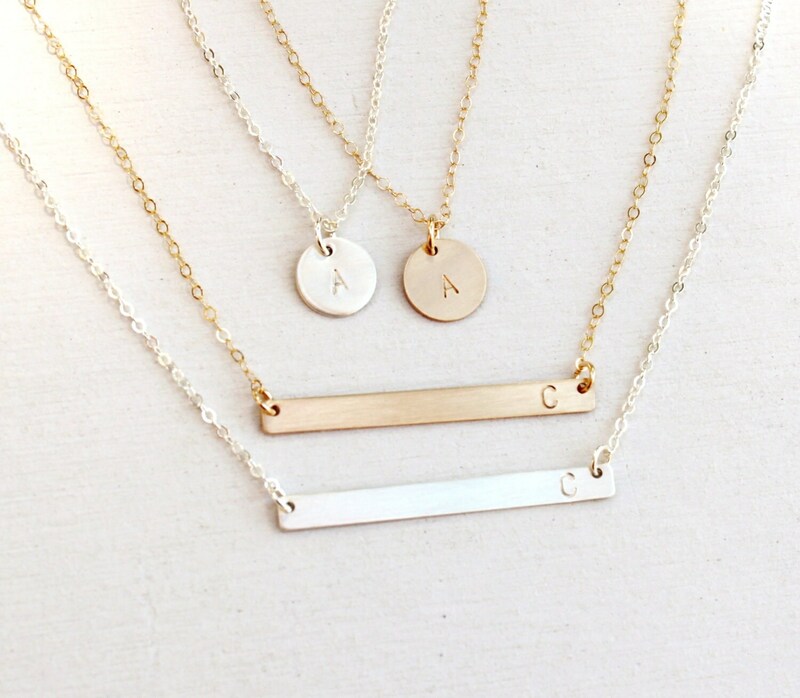 Wear your special initial layered with a long skinny bar- classic and timeless! 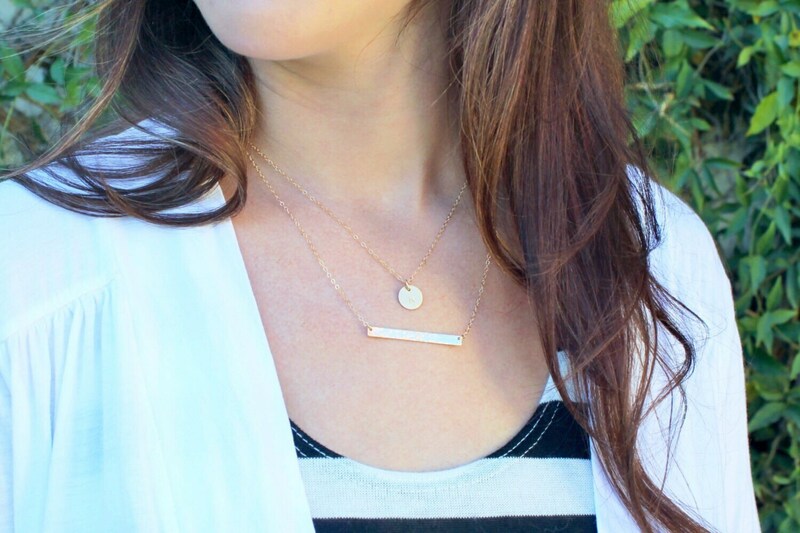 Choose between in personalized or hammered bar in sterling silver, 14kt gold filled or rose gold filled. -Chain & Discs are 14kt Gold-Filled, Sterling Silver, or Rose Gold-Filled. 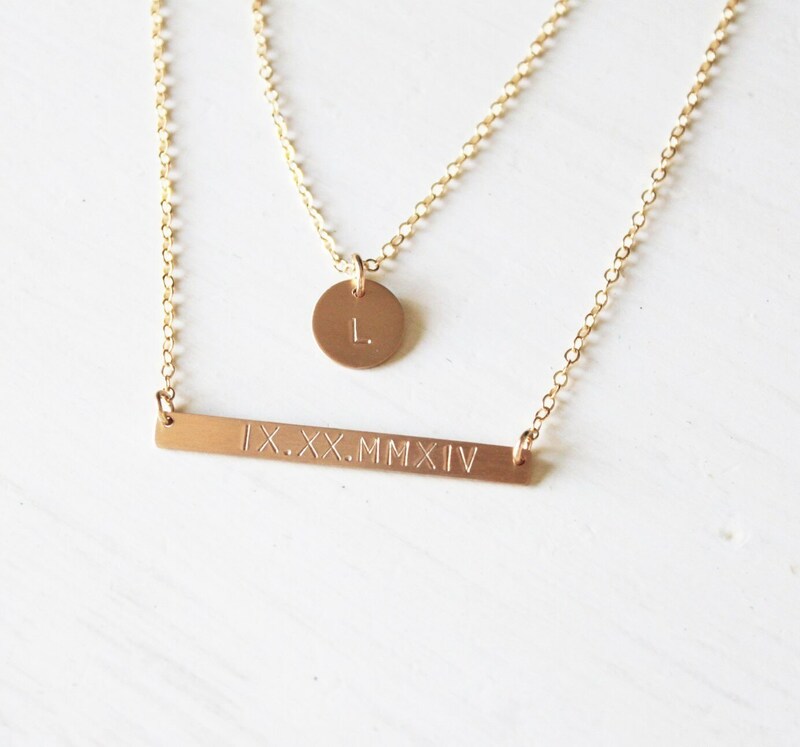 -Disc hand stamped with an initial, left blank or hammered with no stamping. 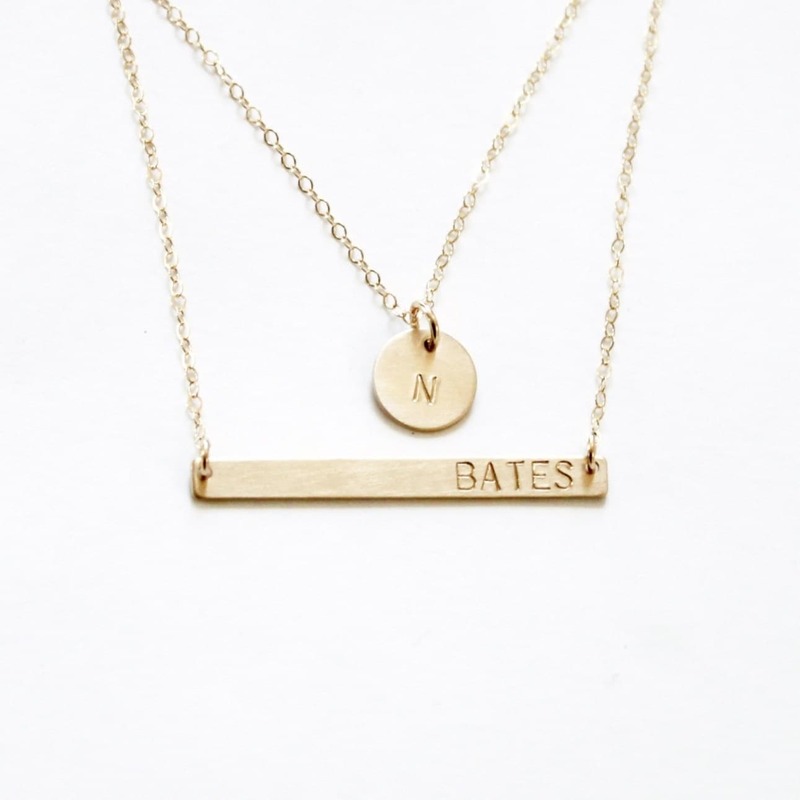 -Bar hand stamped up to 12 letters or date in block font. Stamping is right justified to wear of your heart. 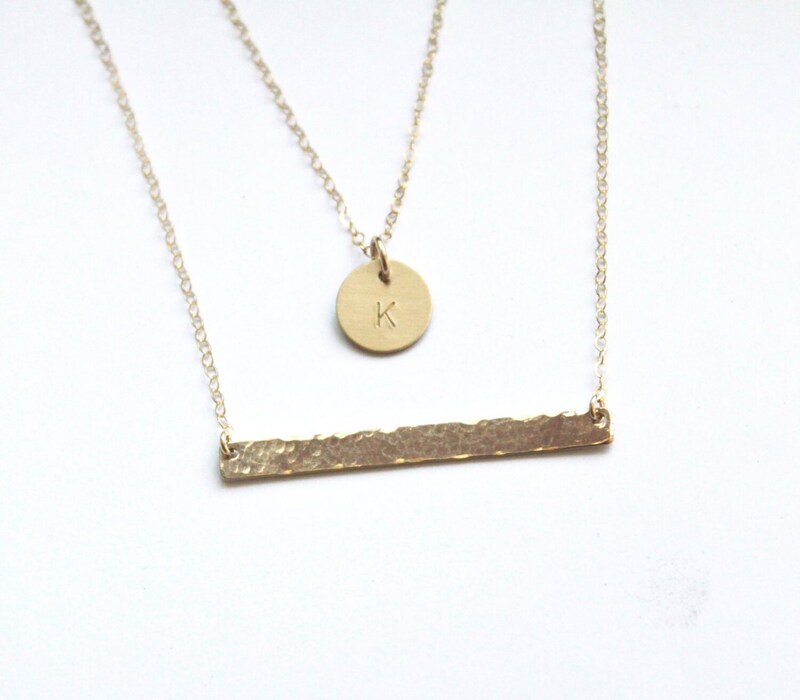 -Bar can also be left blank or hammered with no stamping. Love my necklace! The chains seem a little shorter than the picture, but it still looks great. Perfect for everyday. Adds just the right amount of pretty.